Christine-Jane poked gentle fun at the crossdressing community's foibles and fears for many years. 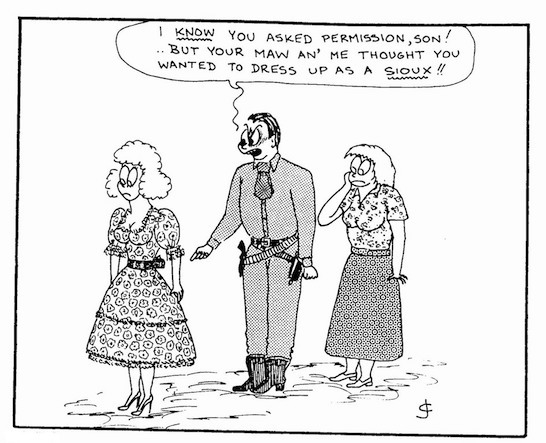 Her cartoons have appeared in many community publications. She is a native of England. She passed away in February of 2016. She is survived by her wife. Thanks for the kind comment – nice to know they cause smiles! I always love her cartoons!